Blenz - Your Next Great Decision! 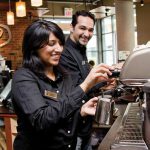 If you’re a coffee lover who enjoys being in a fun, fast-paced social environment, you have a true desire to own your own business and want to gain control of your lifestyle, then Blenz is your next great decision! Every Blenz’ Franchise Partner is a passionate individual with a strong entrepreneurial drive to succeed. We Love What You’re Drinking! Blenz Coffee is a market leader committed to using only premium ingredients in every beverage. 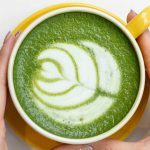 The Blenz Hero Product line-up consists of Signature Espressos, Matcha, Chocolate, and Teas. Each beverage is handcrafted with latte art to reflect the superior quality of Blenz ingredients. Blenz’ innovation and leadership continue to achieve regular media recognition! Voted Best Local Coffee Chain by Georgia Straight’s Best of Vancouver Awards.